← Chiropractic Washington, DC – walking and your neck. What most Chiropractors don’t know -emotions affect muscles. I guess I was lucky because I started out as a chiropractor who knew how emotions affected the body. 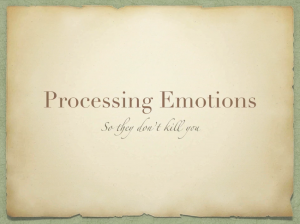 Emotions aren’t just in your head, they go through your whole body. Your organs have receptors in them just like your brain does. Emotions affect organs and organs are related to muscles. If you have an organ that is not balanced energetically, or physically, the related muscles may not turn on and off properly when you walk, run or bend. It can also not work properly with a kinesiological muscle test. Watch this video now to see an example of how an Applied Kinesiology Chiropractor evaluates the body for emotional issues. Emotions can affect your neck, low back, hips and any part of your body. Emotions can also cause digestive problems, immune systems problems and much more. A Professional Applied Kinesiologist can ask your body what is causing it’s health problems and find out if it is related to emotions. If the related muscle is not working properly the doctor can play detective and find out what the reason it. And the great thing is that the Applied Kinesiologist can also help you to heal the emotions and then your body will naturally start working properly again. Here is an post that I did that shows more examples about how emotions affect the body Click Here. A great book that show how emotions can affect you is the classic “Your Body Doesn’t Lie” by Dr. John Diamond. This entry was posted in Patient education, Professional Applied Kinesiology, What Most Doctors Don't Know and tagged applied kinesiology, back pain, bad, better, chronic, doctor, emotions, kinesiology, Muscle testing, neck pain, Oregon, organs, Pearl district, washington dc. Bookmark the permalink.